Edited 1 time(s). Last edit at 04/15/2019 12:47PM by NewtonMP2100. The link is buggy for me, live TV coverage is probably your best bet. Reports of the roof beginning to collapse are starting to come in. Edited 4 time(s). Last edit at 04/15/2019 01:13PM by Blankity Blank. So sad. Makes me sick to think of it and like watching a train wreck. Edited 1 time(s). Last edit at 04/15/2019 01:00PM by Steve G..
Have not been to visit yet but it's sickening to see. So much history and beautiful architecture going up in flames. I had BBC on in the corner of my monitor. It seems like the anchors are struggling to keep from crying. Desperate firefighters climbing scaffolding with hoses. CNN is reporting the spire has collapsed into the interior of the building. No amount of insurance is enough to cover this loss. That made my stomach turn. Fire started 10 minutes after the Cathedral closed for the day. Probably saved many lives and the only bright spot in a horrible cultural tragedy. Firefighters scrambling to get the priceless art out of there. Oh, the glass windows....from Medieval times....It doesn't look good for stopping the fire. Walls in question with roof gone. Can't watch. Just thinking of the irreplaceable art, architecture and history going up in smoke. Ugh. Of all the relics kept at the Cathedral of Our Lady of Paris (Notre-Dame de Paris), the Crown of Thorns and a piece of the True Cross are the most revered. Their status is unknown as the 850-year-old cathedral goes up in flames. Relics believed to be a piece of the cross on which Jesus was crucified, as well as the Crown of Thorns he wore, have been kept at the cathedral for centuries. The relics were obtained from the Byzantine Empire in 1238, and brought to Paris by King Louis IX. Also concerned for the local populace who is in the path of the smoke plume. The roof of the cathedral was covered in hundreds of tons of lead which would, I am assuming, make the smoke toxic. Apparently a construction accident.. the cathedral was undergoing a massive renovation. Still... what an incredible loss.Yes, it can and WILL be rebuilt. I'm glad I got a chance to see it a few years ago. So tragic. - The west Rose window (1225). - The North rose window (1250). - The South rose window (1250)." I saw video of the spire crashing into the length of the building, a huge fireball went out. It's hopeless - total loss. If they rebuild, it won't be the same thing that was standing yesterday. Modern builders do not possess the skill sets require to restore the cathedral to its original condition. Tragic to see something so old and revered gone in a matter of hours. "Amid the devastation taking place on Monday at the Notre Dame Cathedral in Paris, firefighters were able to salvage all of the historic artwork and relics contained in the complex. Among the artwork that was reportedly saved was the crown of thorns, which is only displayed on Fridays and during Lent." 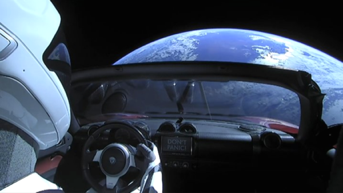 I know there’s always questions about materials, etc., but even boffins from this field couldn’t at least get within spitting distance? Reconstruction is a term in architectural conservation whose precise meaning varies, depending on the context in which they are used. More broadly, such as under the ICOMOS Burra Charter, "reconstruction" means returning a damaged building to a known earlier state by the introduction of new materials. It is related to the architectural concepts of restoration (repairing existing building fabric) and preservation (the prevention of further decay), wherein the most extensive form of reconstruction is creating a replica of a destroyed building. Therein lies the rub: A replica of Notre-Dame will be neither as interesting nor as architecturally significant as the original building. The building that burned today had a wood frame that was designed a millennium ago. 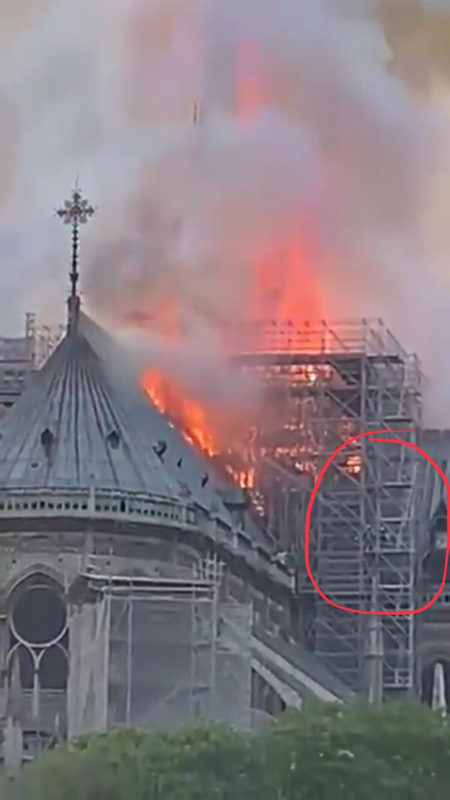 If Notre-Dame is restored (which it almost assuredly will be), the likelihood that the same design and construction techniques and materials used for the original structure will be used for the reconstruction are essentially zero, for two primary reasons: a) modern building codes would not permit it, and b) we very likely don't possess the knowledge to do so. Thus, the restored structure will be but a facsimile of the original. The architectural history and significance embodied by the original structure? Gone. 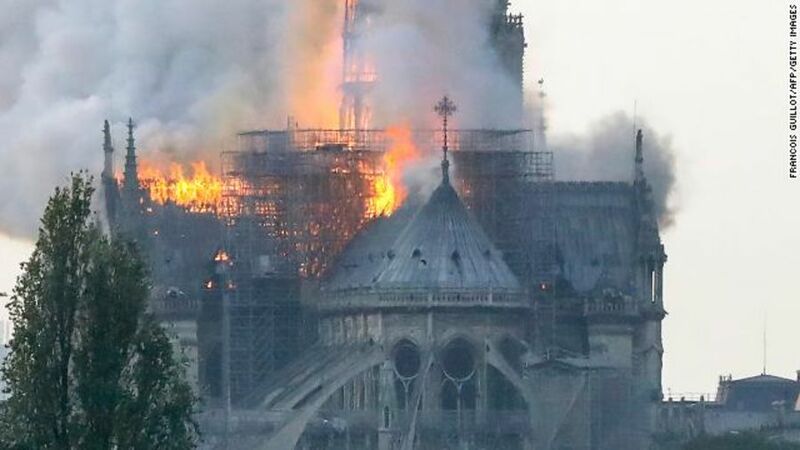 It will be nice to have a building that looks like the original, but it will merely be a representation of the architectural wonder that was Notre-Dame. Edited 1 time(s). Last edit at 04/15/2019 06:30PM by N-OS X-tasy!. My cousin and her husband were supposed to see it tomorrow. Luckily, I saw it in the 90's. Many of the 21 California Missions fell in earthquakes or burned down and were "restored." They don't feel any less significant than the ones that have survived intact (I've visited them all). The Notre Dame burning down actually "adds" to his significance. It's part of its history. Edited 1 time(s). Last edit at 04/15/2019 06:39PM by vision63. These assertions seem extremely presumptuous, and ignore the accumulated knowledge and capabilities of the professionals who have been engaged in such historical construction work for centuries now. 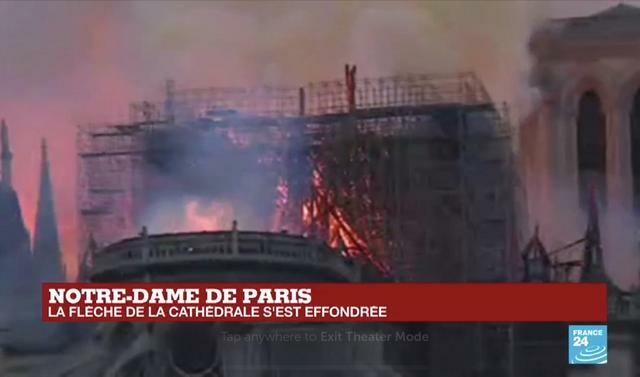 This loss is incalculable to the French (and humanity). ONE of the reasons the French surrendered to the Nazis was to preserve Notre Dame (and other landmarks) from Nazi Bombs and Artillery! Many ancient fabrication methodologies have been lost to time or fallen out of favor -- Google "Roman concrete" and "Damascus steel" for a couple of examples. Construction of the Egyptian pyramids is another example. Sometimes when we stop doing something a certain way, over time we forget how to do it that way. As to my other point, if your argument is that modern building codes would permit the replacement building frame to be rebuilt exactly the same as the original... that's just silly. Edited 1 time(s). 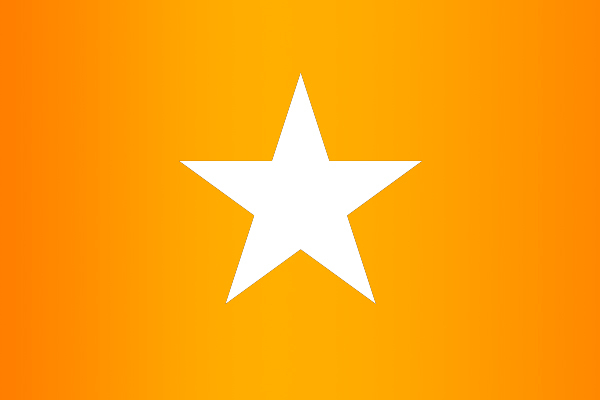 Last edit at 04/15/2019 07:45PM by N-OS X-tasy!. Those Ancient Egyptian and Roman building practices were centuries and centuries before Norte Dame was constructed, and please note the the spire that collapsed today had already been rebuilt in the 19th century. Do you seriously assert that that the French government and the city of Paris would authorize absolutely no exemptions nor variances for restoration of this world renowned historical landmark? That’s just silly. My heart sank when I heard about the fire. I've always wanted to visit Paris and see Notre Dame but some are saying it could take nearly a generation to repair. Not sure I'll be around or able to travel that far down the road. Travel is difficult for me now. This wasn't just "a cathedral." It is the cathedral one thinks of first when that word is uttered. There are larger, perhaps more beautiful, cathedrals, but not even St. Peters carries the history, conflict, emotion and aspiration of Notre Dame. Also, thanks to Victor Hugo, it had Quasimodo. I think that old movie with Charles Laughton gave me a love for the place that years of study in art history couldn't erase. Do you seriously assert that that the French government and the city of Paris would authorize absolutely no exemptions nor variances for restoration of this world renowned historical landmark? I really hope they get a pass on modern building codes. I'd bet there are some craftspeople who can do this type of work right now. I'll bet there will be careers spent on the rebuild by young people who learn the appropriate crafts needed and then spend decades rebuilding it. At least I hope so! Flying buttresses keep tall stone walls from bowing outward under the weight of the roof. The wooden roof supports may also (in some structures) also hold the tops of the walls in tension, but typically they have no role in support of the walls themselves. During construction, it's likely the walls stood for many decades without a roof. Building code waivers can be granted, especially when discussing the patrimony of a nation. Every issue of Preservation magazine has a couple of stories telling how historic structures were creatively brought into compliance with modern life safety standards. 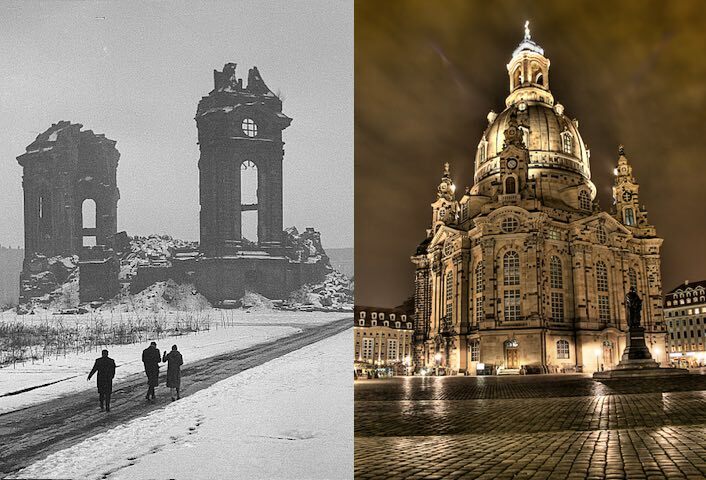 I know about the bombing of Dresden, and the resulting firestorm, but not that! WOW! Thanks!